I recommend all to include a image shot for their wedding welcome board and photo album. Their happiness reveals even when their faces are not shown. So let me introduce few photos for sample! The pre-wedding photography is a good chance to take photos of wedding rings, engagement rings, and hand shots! So please tell our photographer. 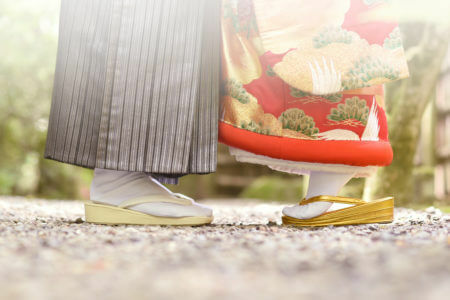 This shot, a bride reaching the groom, is very popular. Very cute, isn’t it? A close shot of props is also popular too. 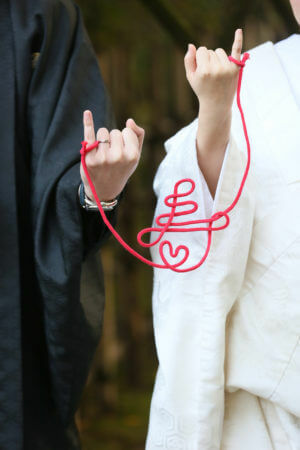 The red string looks good with white wedding Kimono. 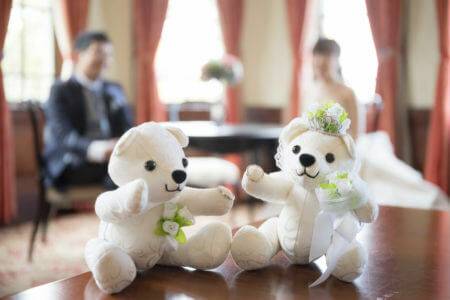 You can use your wedding teddy bear, not just at the wedding but also in a pre-wedding photography. 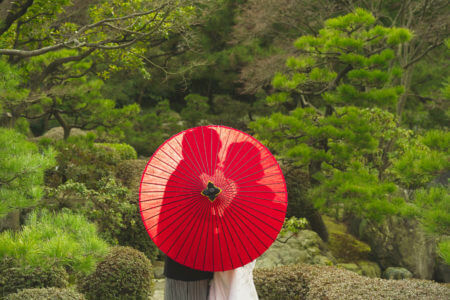 I personally like the shot with the couple in a close distance with Japanese Umbrella! How was it? Why don’t you bring a accent to your pre-wedding photography?